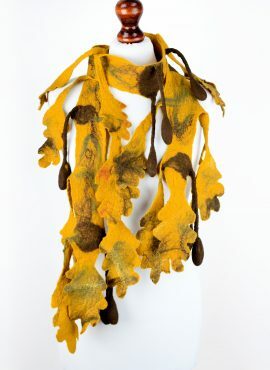 Spring felt scarf perfect for spring and summer days. 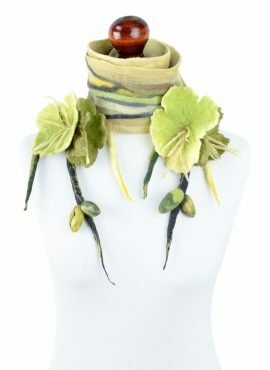 It is lightweight and breathable and with its natural colors it resembles a beautiful flowering plant. 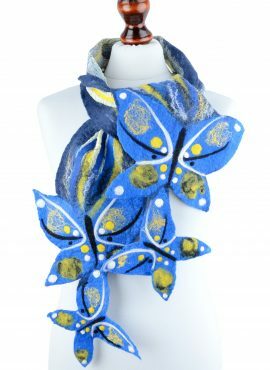 Blue butterfly scarf designed for women who love fancy designs. 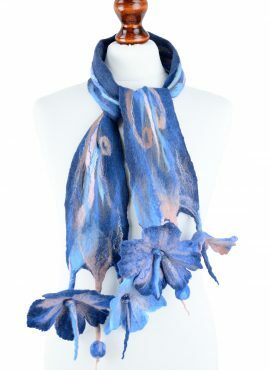 It will make you look cute and romantic, giving your outfit an ethereal touch. 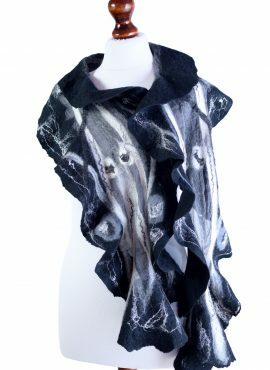 Black nuno felt shawl designed for women, who need a special high fashion accessory. 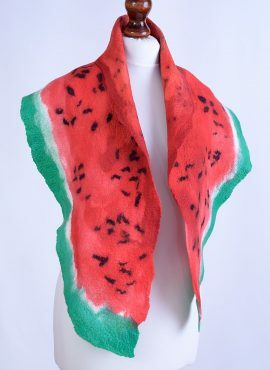 It is made of silk chiffon and merino wool and is really chic. 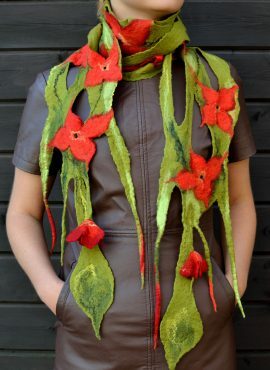 Green nuno felted scarf made of lightweight and breathable materials. 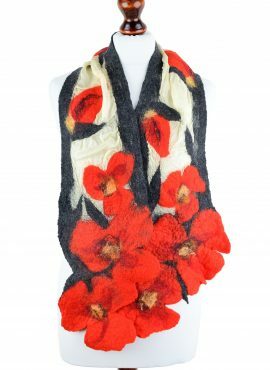 It is just perfect for spring and summer days with cool or windy weather. 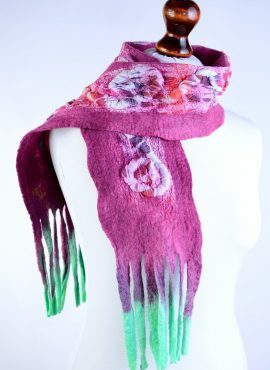 This felted spring scarf has optimistic colors and flower design. It is perfect for women and teens that want to look fresh and bright. 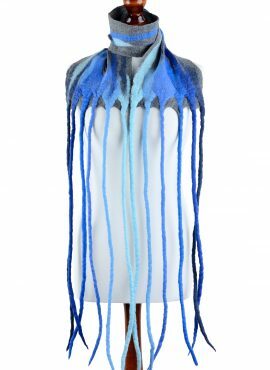 Blue nuno felt scarf with stripes and a very long fringe. It is perfect for women and girls who love modern and playful designs. 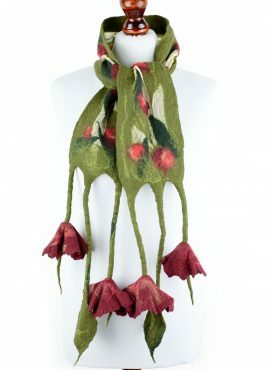 This felt flower scarf has very feminine and romantic look. It will be perfect for women and girls who love to wear blue and pink accessories. 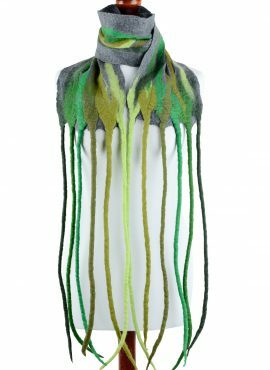 Green nuno felt scarf with stripes and a very long fringe. It is perfect for women and girls who love modern and playful designs. 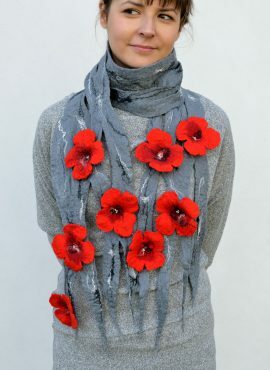 This nuno felt poppy scarf consists of soft merino and silk muslin. 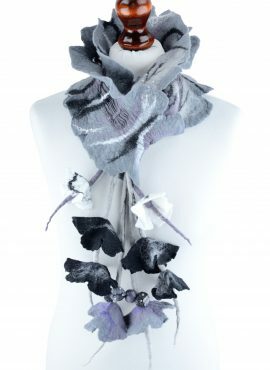 It is perfect for women, who love flowers and are in a hunt for luxury accessories. 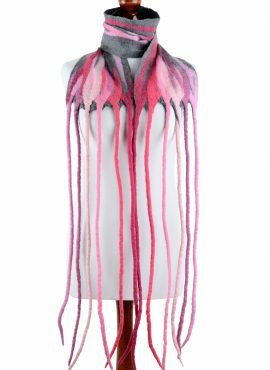 Pink nuno felt scarf with stripes and a very long fringe. It is perfect for women and girls who love modern and playful designs. 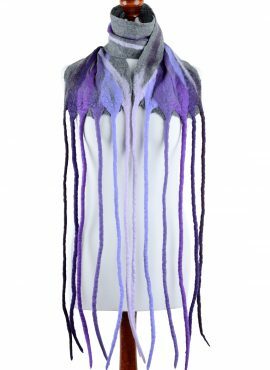 Purple nuno felt scarf with stripes and a very long fringe. It is perfect for women and girls who love modern and playful designs. 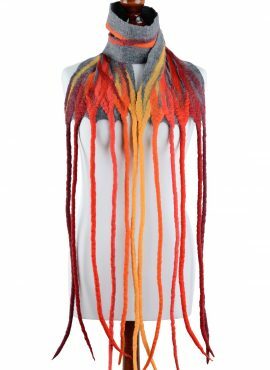 Red nuno felt scarf with stripes and a very long fringe. It is perfect for women and girls who love modern and playful designs. 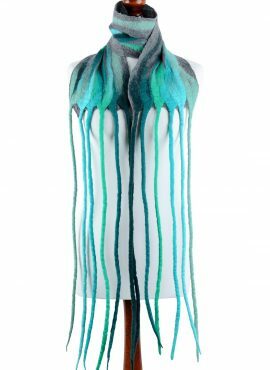 Turquoise nuno felt scarf with stripes and a very long fringe. It is perfect for women and girls who love modern and playful designs.